Warwick will be widely regarded as one of the world's leading international universities, especially in its composition of staff and student bodies, its transnational research and in the intercultural experiences available to all our staff and students. The international theme has always run through our veins, as demonstrated by our increasing intercultural experience and opportunity on campus and the huge range of our international collaborations and partnerships with the business community and other sectors. We continue to encourage our staff and students to thrive within an actively inclusive international community and continue to look outwards to Europe and the wider world. 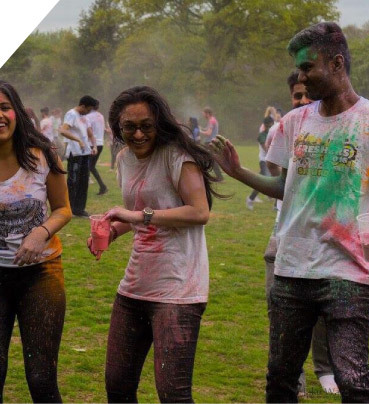 Intercultural opportunity, awareness and respect will always be core Warwick values. Our research will be built more than ever on attracting talented academics and researchers from every corner of the world and on the widest range of international collaborations. This will continue to be the basis of our research excellence, and our ability to anticipate and tackle truly international challenges. We aspire to attract the best and most talented international students, to safeguard and encourage international diversity, and so to promote staff, student and department-led international collaborations which support our education and research ambitions. By developing a range of university-to-university partnerships, we will be able to carry out research at greater scale and with more impact, and to access new sources of funding that internationalism will intensify. Mobility is key, so with some partnerships we will seek to develop our international presence, thus helping to realise our ambition to provide more students with the opportunity to study outside the UK. At an institutional level, focus on the development of a small number of very significant and deep research and education partnerships.